You are currently browsing the Bringing Jerry Zimmer Home blog archives for January, 2011. 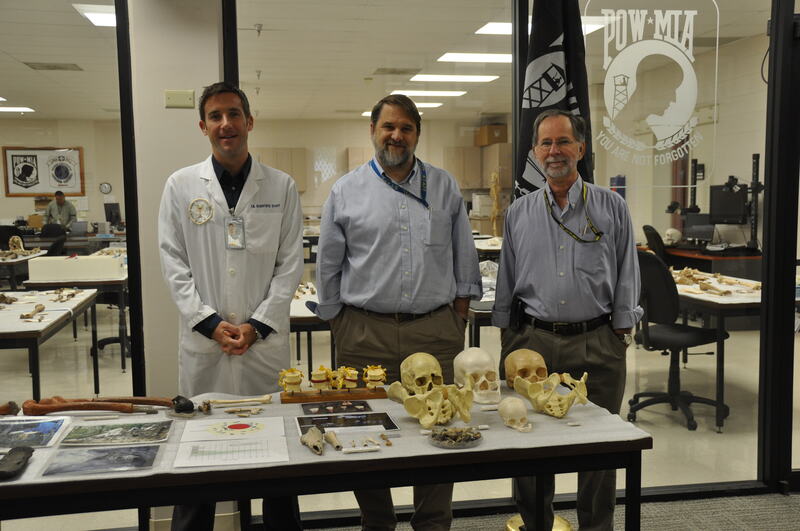 L-R: Anthropologist Sean Tallman, Scientfic Director Dr. Tom Holland, Deputy Scientific Director Dr. Bob Mann at the Central Identification Lab (CIL) at JPAC Hq. 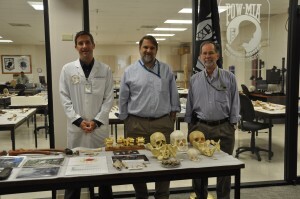 They are standing behind a table, containing the tools of their trade as forensic anthropologists. In the background, enclosed in glass, is the working portion of the lab. JPAC is operational, which means that most—if not all–of the leadership and staff have served in the field at one time or another. 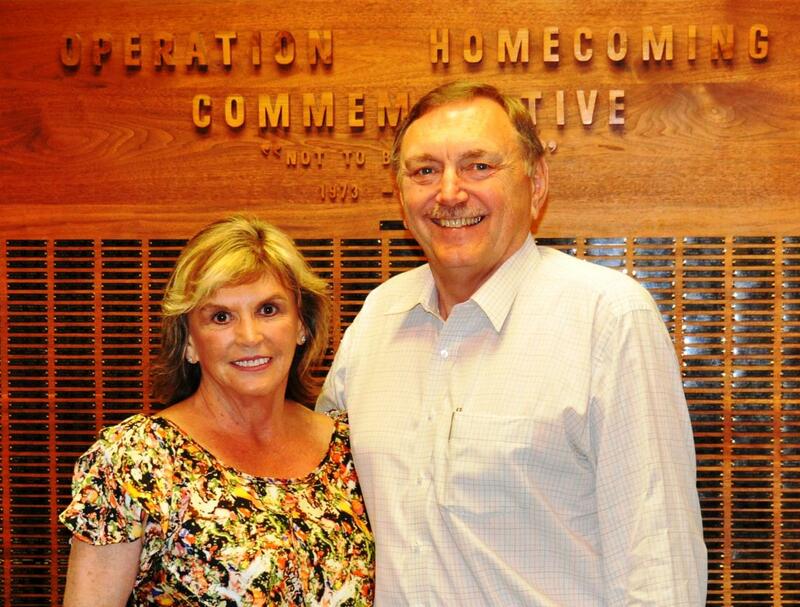 This has enabled them to learn about the intricacies of recoveries, negotiations with foreign governments and problems that arise from personnel accidents, logistical glitches and a variety of emergencies, of which can include being dangerously close to an unexploded ordinance falling from a tree after “nesting” there for 40 years (this actually happened in Laos).